Mark Heng currently lives in Limerick. After studying painting at Boston University, he worked as an illustrator and caricaturist, specialising in quick sketches of guests at parties and events. 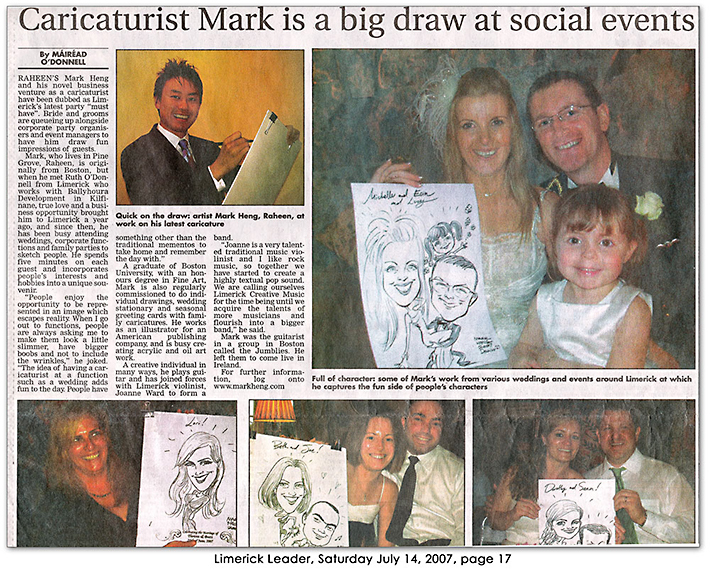 Mark currently divides his time between travelling around Ireland drawing caricatures, undertaking studio commissions, running a life drawing group, and spending time with his family. 2014 Took part in the Sky Arts Portrait Artist of the Year Competition, painting a portrait of the actor Colm Meaney. 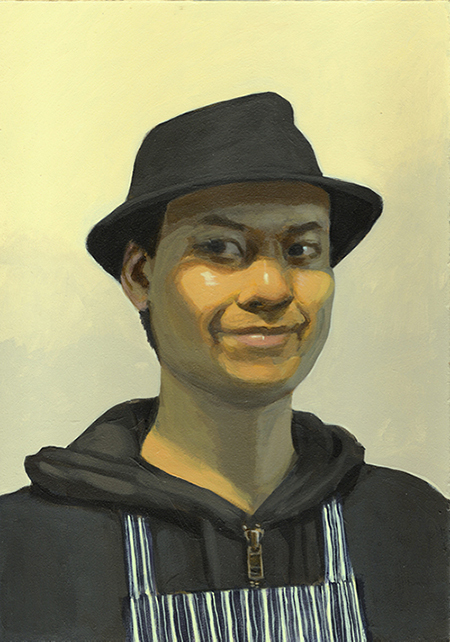 2015 Self-portrait with Hat and Apron was shortlisted for the Hennessy Portrait Prize in 2015. 2016 Again took part in the Sky Arts Portrait Artist of the Year Competition, painting a portrait of the writer Ben Okri.